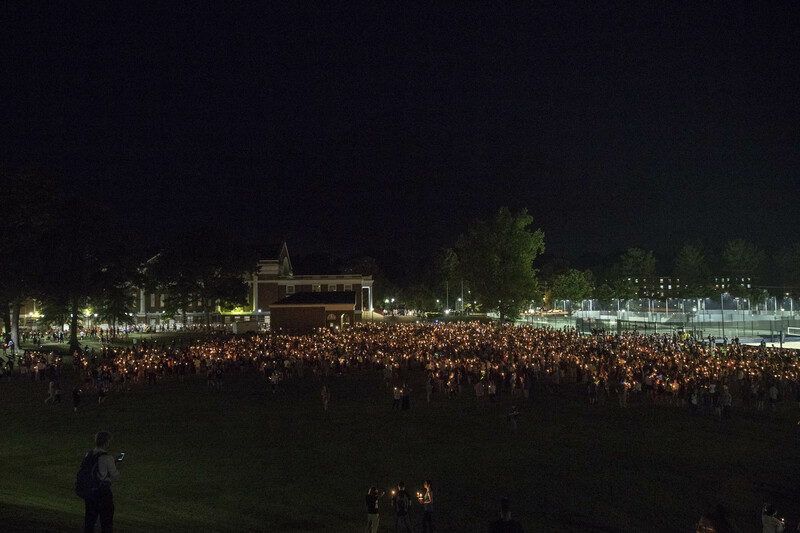 On Wednesday night, thousands of University of Virginia and Charlottesville community members retraced the steps that neo-Nazi and white supremacist protestors took last Friday, a powerful repudiation of hate and bigotry. 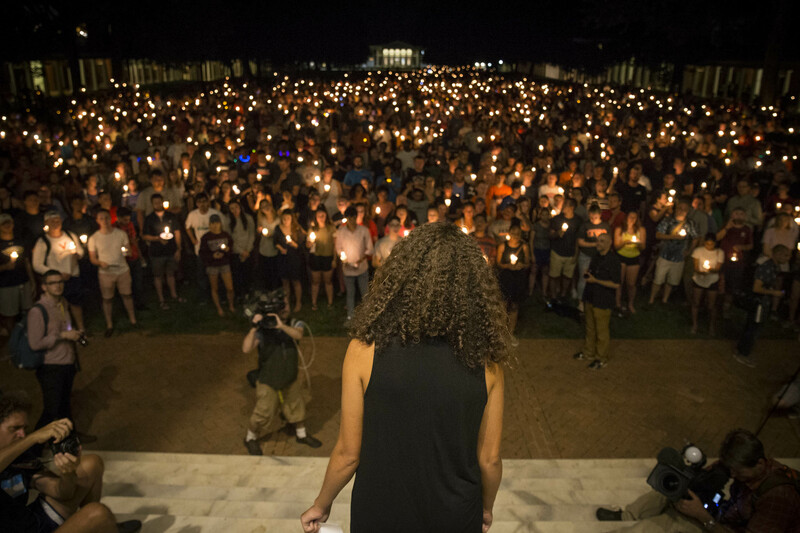 The march, planned by students with support from the UVA administration, was both peaceful and powerful; uplifting and sobering – and above all, a stark contrast to the weekend’s violence. 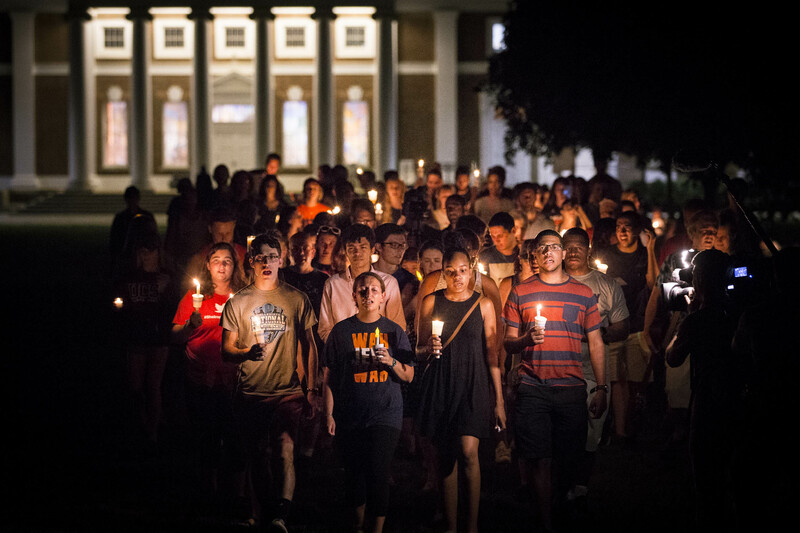 It was also the first time that the UVA community gathered on a large scale since the demonstrations that led to three deaths and many more injuries, and sent shockwaves across the community and the world. Other events are already being planned by students and administrators, with more details forthcoming. 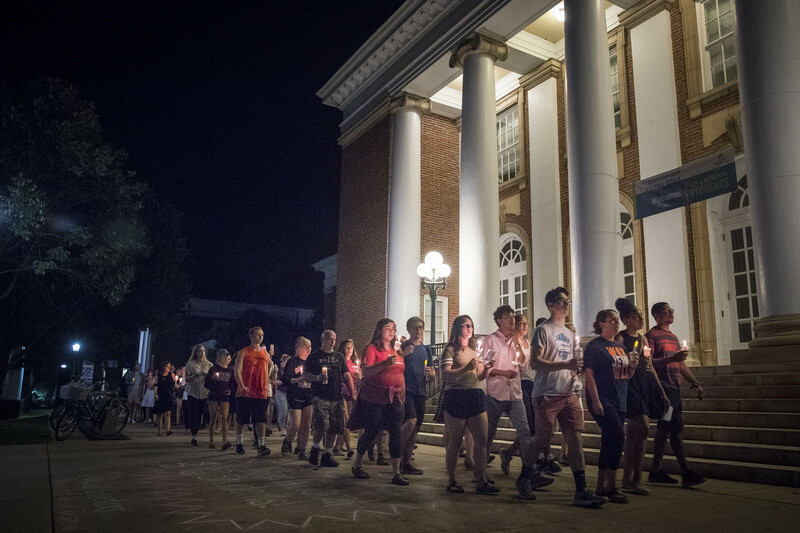 Fellow student organizer Ryan Keen, a fourth-year student majoring in biochemistry, said he hopes the event will show how much support is available within the UVA community. 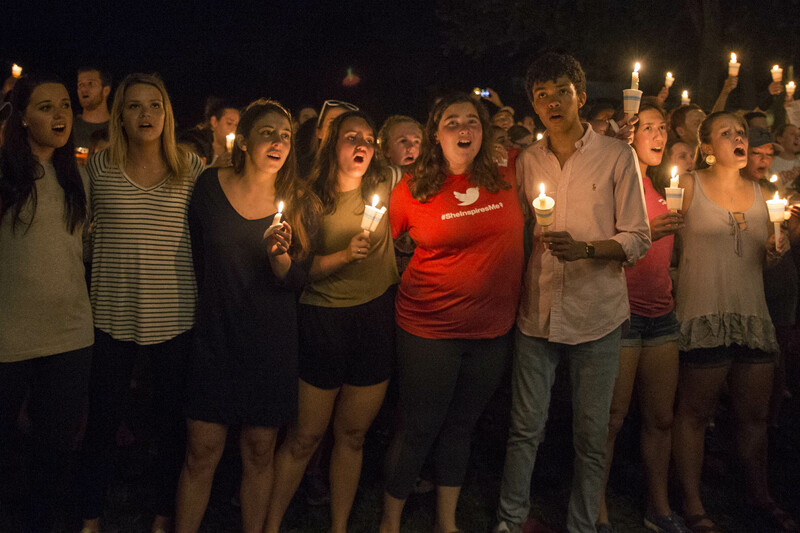 The crowd included many alumni, faculty, staff and friends who wanted to prove Keen’s point and stand alongside students in a tangible message of solidarity. 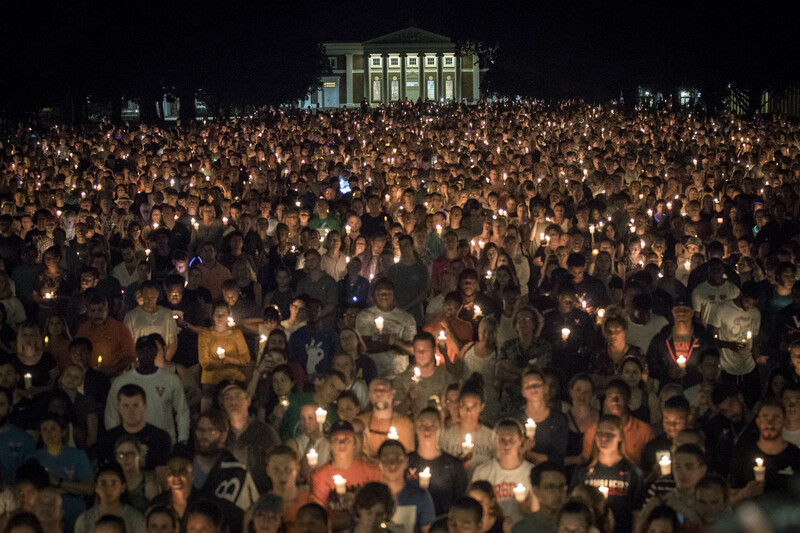 University Rector Frank M. “Rusty” Conner, who leads UVA’s Board of Visitors, said he wanted to support student efforts to “take back” the ground that white supremacists marched over last week. Classics professor John Dillery agreed. 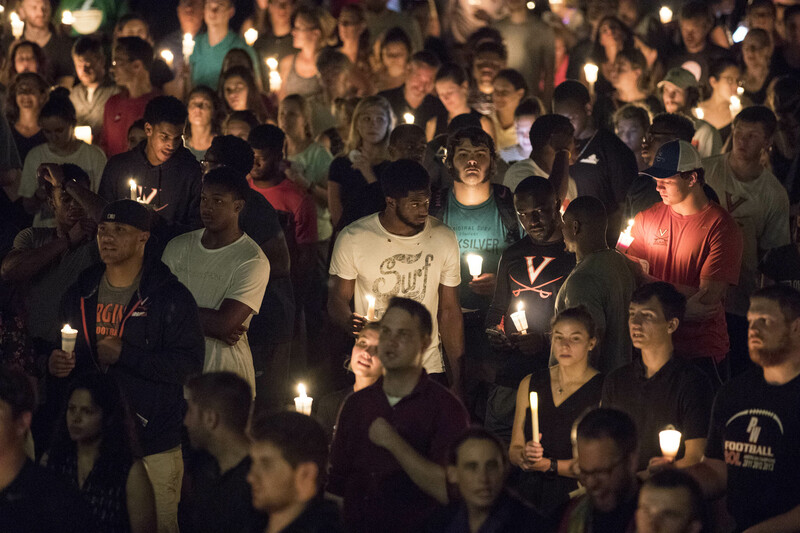 For some in the crowd, the march – and the weekend’s violence – was their first experience of Charlottesville and the UVA community. King Adjei-Frimpong is an incoming first-year student at UVA’s Darden School of Business who just moved to Charlottesville from California. Those attending were well aware that the problems and questions so brutally exposed over the weekend cannot be healed by one event or gathering. However, many said they were ready to begin asking tough questions and working toward a better vision for their community. Perhaps the most powerful expression of Alridge’s hope did not come from any one voice on Wednesday night, but from many. “Shakespeare on the Lawn,” a student-run theater troupe, moves from the Grounds to the Downtown Mall’s New Dominion Bookshop to present a dramatic reading of “Much Ado About Nothing” at 7 p.m. on Tuesday – Shakespeare’s birthday. Now in its fourth year, the awards support a yearlong engagement to promote health and development and/or reduce violence against women and girls in French-speaking countries. The annual Double Hoo research grants offer graduate students an early opportunity to mentor undergraduates, and give undergraduates an experienced partner to aid in the pursuit of their research goals.